The Early-Career Initiative is designed to support pre-tenure instructors (clinical-track, tenure-track, lecturers, visiting, and adjuncts) in their first three years of teaching at The University of Iowa. Our goal is to help early-career instructors balance teaching with research and other obligations and employ effective and rewarding teaching pedagogies. The Center for Teaching hosts an annual Course Design Institute that maybe of special interest to early career instructors. The Course Design Institute is an intensive, interactive, multi-day program that will guide participants through the process of designing or substantially revising a course. 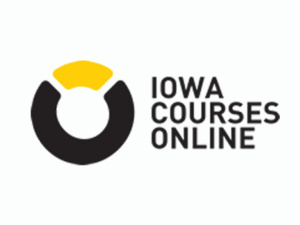 Any instructor (clinical-track, tenure-track, lecturer, visiting, or adjunct) at The University of Iowa who wishes to design or substantially revise a course is eligible to apply to be a part of the Course Design Institute. This faculty learning community is designed specifically for a cohort of first-year, tenure-track faculty who, with the encouragement of their DEOs, make a commitment to participate. The cohort explores various aspects of teaching and provides one another with support, accountability, and feedback in preparation for the third-year review. The Center for Teaching offers a series of timely workshops (open to all early-career instructors) focused on good teaching practices, including events designed specifically with early-career instructors in mind. 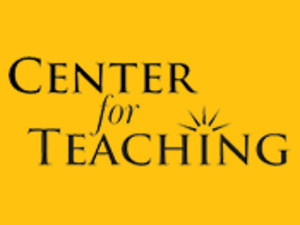 The Center for Teaching offers teaching consultations on a variety of topics from presentation skills, student engagement, and incorporating technology into coursework. Classrooms observations are a service provided by the Center for Teaching upon an instructor's request. Staff will attend a class to observe and provide feedback to instructors on a variety of topics such as student interaction with instructors, classroom delivery style and use of teaching technologies. This service is voluntary and confidential. Classroom Assessment by Student Interview (CLASSI) is a mid-semester service that allows students to reflect on their course and offer anonymous feedback. This service is available upon the instructor's invitation. Student Instructional Technology Assistants (SITAs) work one-on-one with instructors on projects that enhance instruction with technology. The sixth edition of the Handbook for Teaching Excellence is a guide to teaching at Iowa. 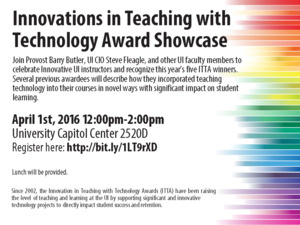 It provides resources and support for teaching excellence and the professional development of faculty members and TAs. The Extraordinary Teaching Project showcases the rich array of pedagogies and teaching philosophies University of Iowa instructors incorporate into their teaching. Cognitive Processes "Learning Style Preferences"
L. Dee Fink, A Self-Directed Guide to Designing Courses for Significant Learning. James M. Lang, On Course: A Week-by-Week Guide to Your First Semester of College Teaching (2008). Available in the CFT Lending Library. Thomas A. Angelo and K. Patricia Cross, Classroom Assessment Techniques, 2nd ed. (1993). Available in the CFT Lending Library. Grant Wiggins and Jay McTighe, Understanding by Design (1998). Available in the CFT Lending Library. The Center for Teaching library has a wide variety of books, teaching & learning journals, and DVDs on various teaching topics. Resources are available for check-out by faculty, teaching assistants, and instructional staff. Need help with Early-Career Instructors?